What the heck? This isn't Kansas. As prairie gal, I have a natural distrust of heights, depths, ditches, anything other than the level plain. 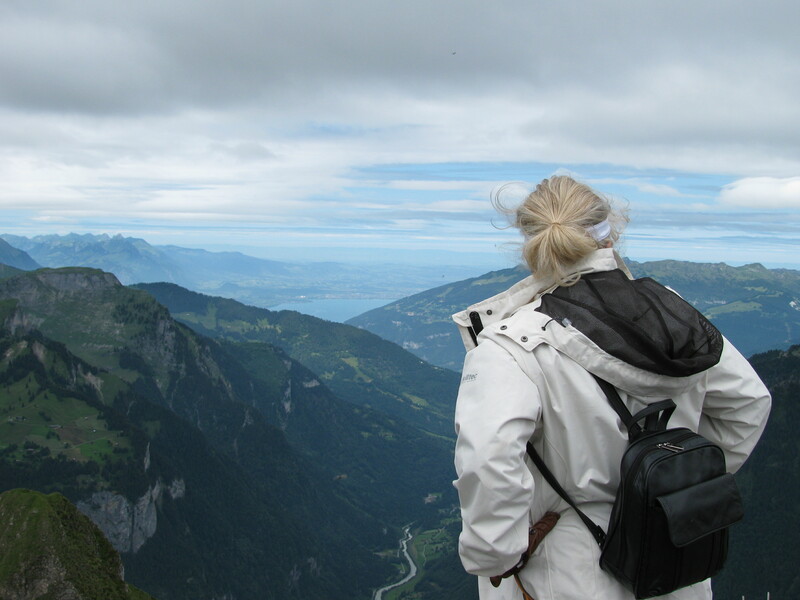 It is therefore something of an accomplishment that Dave got me to board the gondola at Wengen without me leaving clawmarks on the door frame signifying that I had to be dragged in. It’s a sign that Dave’s campaign to overcome my fear of heights by overwhelming me with a carousel of gondola rides up unthinkable mountain pitches is working. I should point out that a wariness of inclines is a naturally protective inclination, and one that was amplified when in Victoria last year giant rocks fell from a cliff into a suburban home, rendering it unsuitable for habitation. Earlier, giant boulders were dynamited from the mountain side near our home, landing on a road where they could have easily crushed any passing Hummers. This never happens in Manitoba or the parts of North Dakota with which I am familiar. You might get flooded out or snowed under in these regions, but those are disasters you can see coming from a distance, and so make necessary arrangements. Falling boulders lack any sense of courtesy and give no warning of their impending arrival. But that has nothing to do with this. It is but a mere side-note that perhaps explains my near-phobia of vertical stretches. We boarded the spacious gondola at Wengen with about 15 others, and were able to roam from side-to-side taking in the beautiful views all around us, feeling quite relaxed until the gondola lurched and skipped suddenly upwards, then swayed in such a way that I readied to sprint in ever-accelerating circles around the gondola while screaming “We’re all going to die! 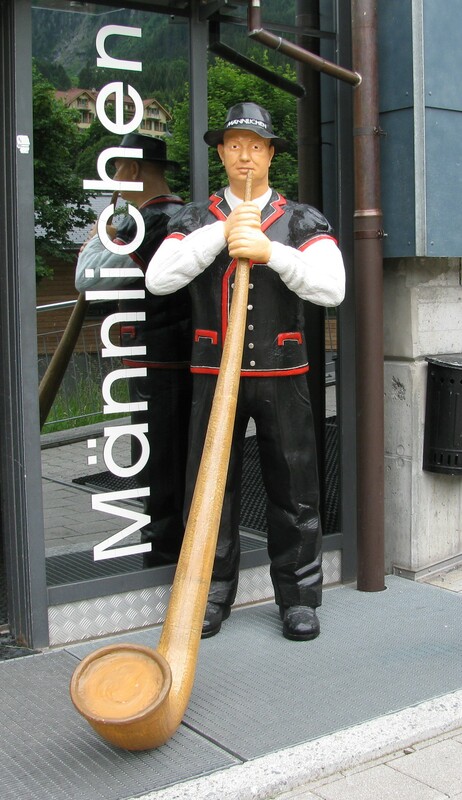 We’re all going to die!, but then the gondola docked into the station at Mannheim and my planned panic attack suddenly seemed quite silly. North Dakota: No falling boulders or steep cliffs here. Phew. Courtesy U.S. Fish & Wildlife. That does not mean that my war with heights was over. Far from it. But that was on the weekend. I will write more about that tomorrow. In the meantime, our town is undergoing another heat wave, so I’m sitting in the dark, with curtains drawn, fans swiveling, trying to understand how it is that today in Atlanta, Georgia, it will be 32 C, while here the forecast is for 33 C and if our past heat waves are any indication, it will get hotter than that. Our hotel is without air conditioning, so there’s nothing to do but tough it out. I also erroneously reported last month that local stores are also without air-conditioning, but happily I was wrong about that. It appears that some were merely exercising a policy to not cool their air until past some arbitrary timeline. I have found three stores with lovely cool artificial climates and I intend to patronize all three today. 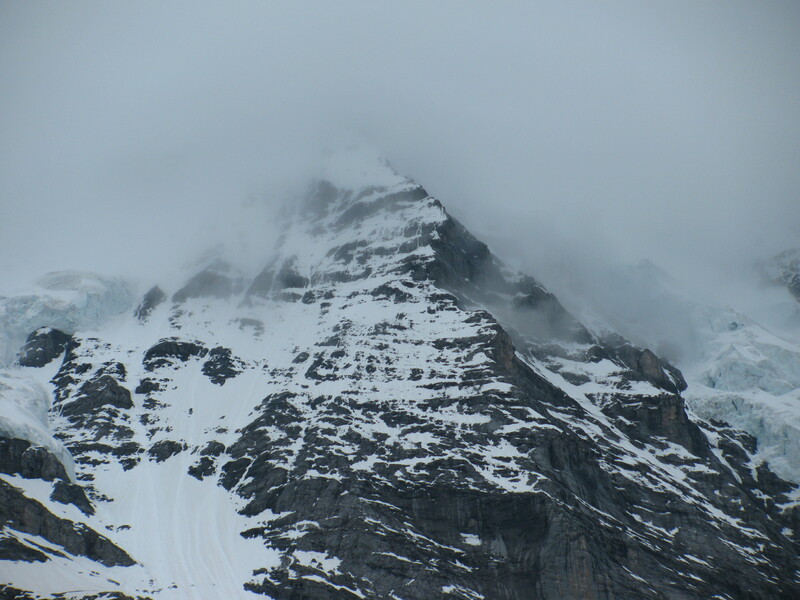 Here are some photos from the train ride up and down the mountain. 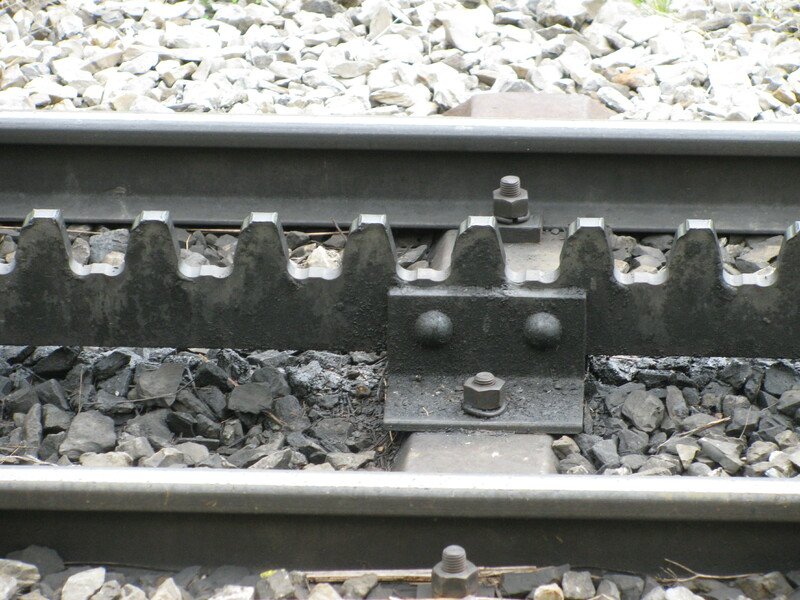 Cogwheel trains at Scheinzernfreaualdjgblergessellschaft. That is not its real name. 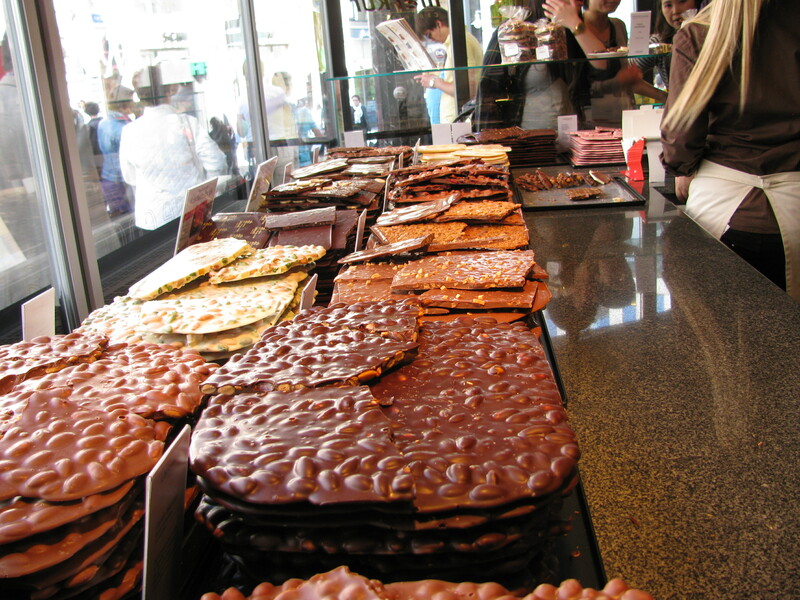 It's real name is Scheidegg, but all German sounds like an endless waterfall of syllables to me. Yawn. Another mountain view from the train. 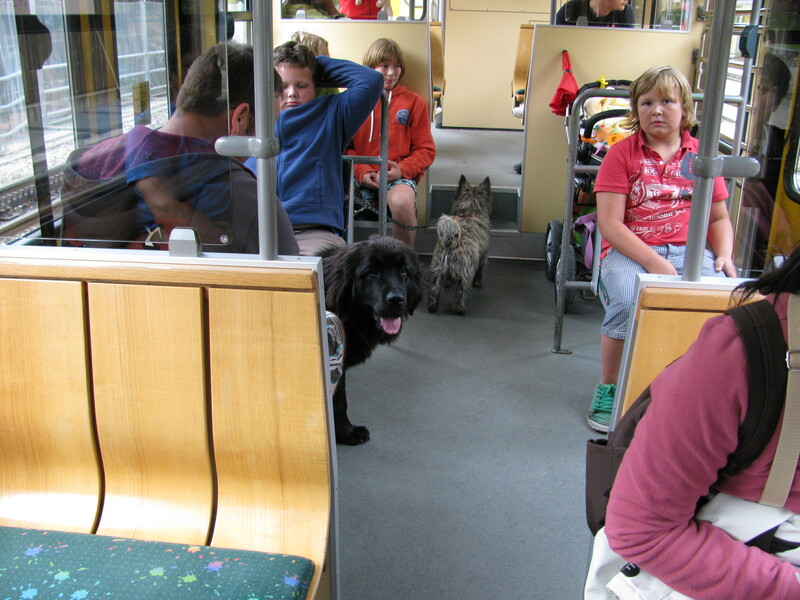 Dogs of all shapes and sizes are welcome on Switzerland's trains. 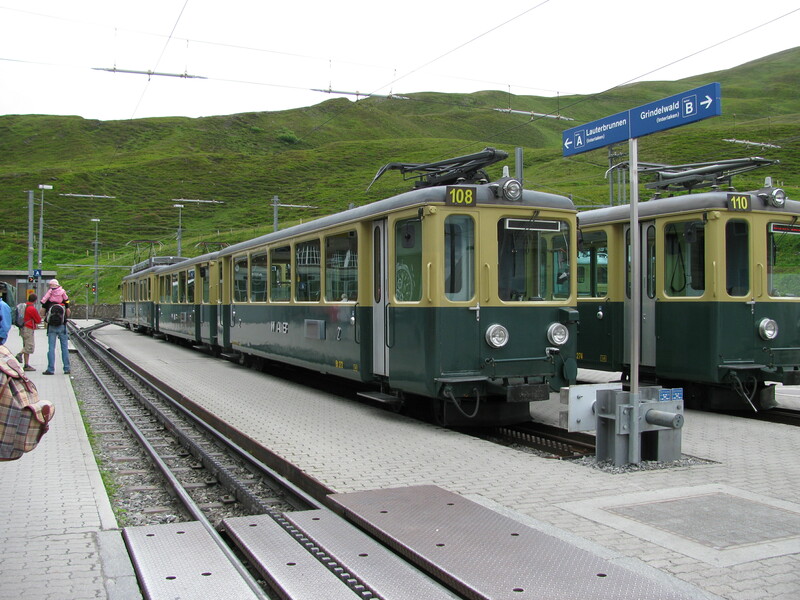 Trains need help to climb up and crawl down Jungfrauloch's steep mountains. Here's a close-up of the cogwheel track that serpentines along the ridges. On the ride down, the braking action is palpable. A derailment here would be a flung-from-cliff disaster. 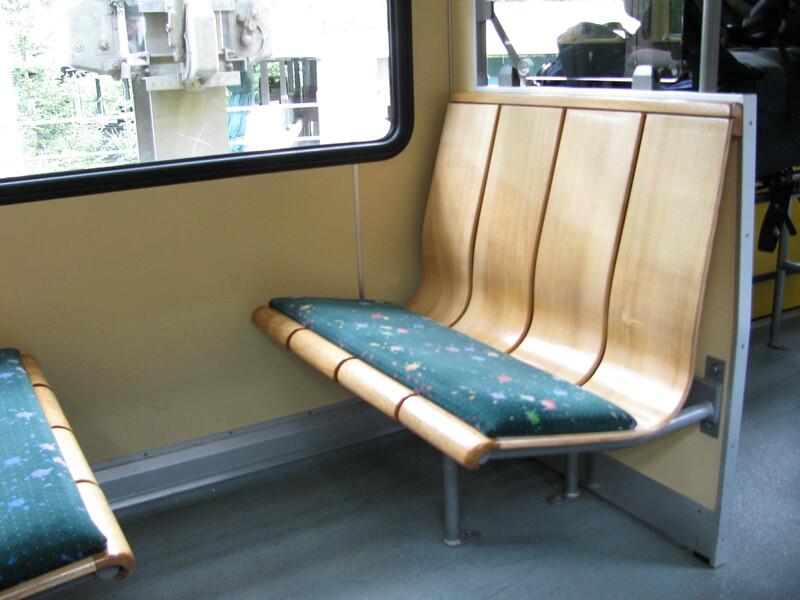 Jungfrau's cogwheel trains are charming with large windows and surprisingly comfortable wood-back seats. 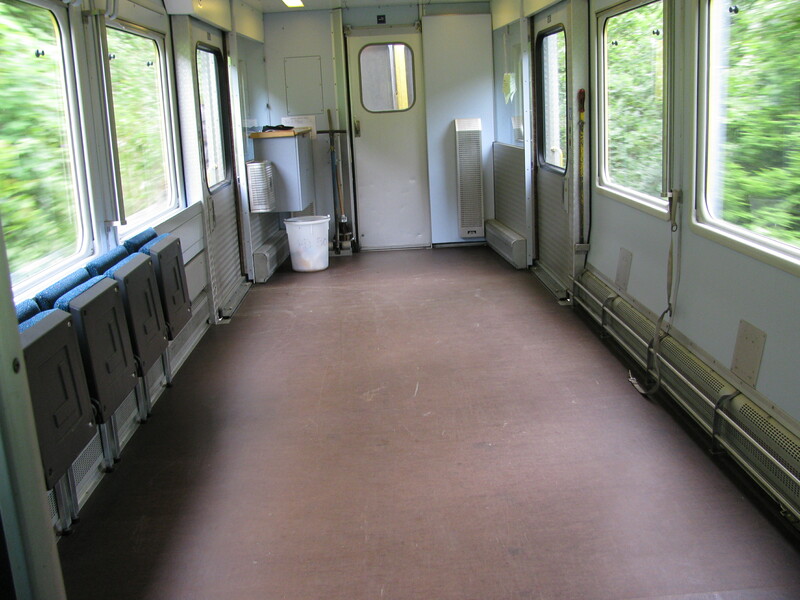 The Swiss are always ready for action, as you can tell by this train passenger car that has fold-up seats and plenty of floor space for bicycles, skis and other sporting gear.